SBI PO Call Letter download 2019, SBI PO Preliminary Admit Card download 2019, SBI PO Prelims, Main Hall Ticket Download 2019. Download of call letters for Online Preliminary Examination Third week of May 2019 onwards. The candidates should download their call letter and an “acquaint yourself “booklet by entering their registration number and password / date of birth from the Bank's website. NO HARD COPY OF THE CALL LETTER / ACQUAINT YOURSELF BOOKLET WILL BE SENT BY POST. candidates in each category as decided by the Bank (approximately 20 times the numbers of vacancies subject to availability) will be shortlisted for the Main Examination. 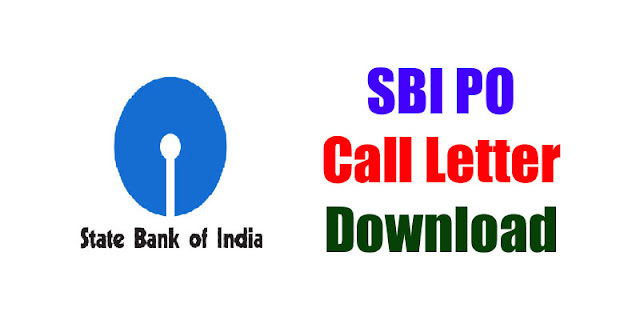 How to Download SBI PO 2019 Online Exam Admit Card!!! Download of call letters for Online Preliminary Examination from Third week of May 2019 onwards. 2. Click on Careers Section. 3. Select “Call Letter for Written Exam” link. 4. Enter your Registration Number & Date of Birth (DD-MM-YY) OR Password. 5. Get your Admit Card and print it on A4 size paper.